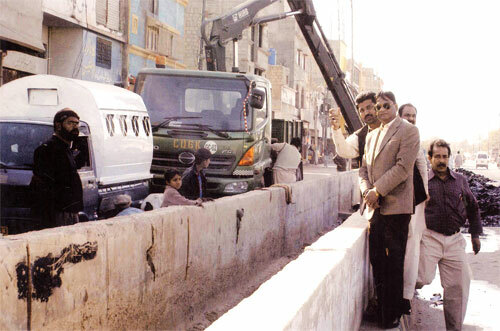 Syed Kamal Ahmed Administrator New Karachi Town, inspecting the cleaning of rainy nullah on 4000 Road. KARACHI CITY GOVT. COMPLETES FLOOD LIGHT STADIUM IN NORTH KARACHI. Administrator of Korangi Town Mohammad Sami Khan inaugurates fumigation drive - Administrator of Korangi Town Mohammad Sami Khan accompanied by other town officials inaugurating the 8th round of fumigation drive in the town.